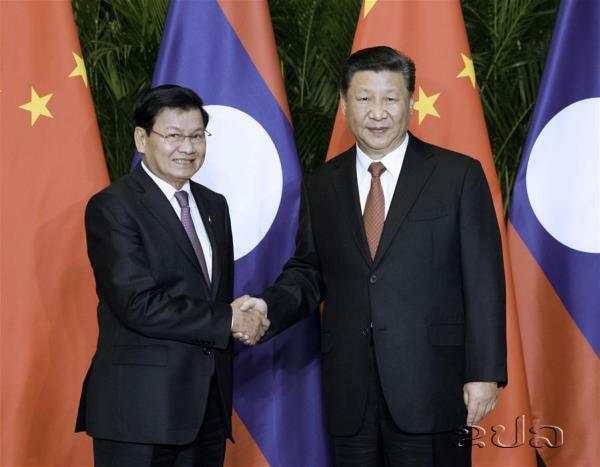 (Xinhua/KPL) Prime Minister Thongloun Sisoulith on Sunday met with Chinese President Xi Jinping in Shanghai, China. PM Thongloun Sisoulith will attend the first China International Import Expo opening on Nov 5 in Shanghai. 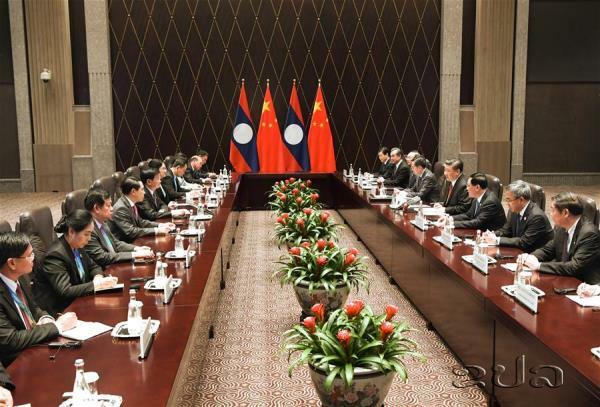 PM Thongloun said major projects such as the China-Laos railway are being steadily carried out.